One of my all-time favorite people to ever coach in the NFL is Pro Football Hall of Famer Tony Dungy. Mr. Dungy is one of the finer men to ever grace God's green earth, and he's one of the most humble in the process. He's a Man of God, Hall of Famer, Super Bowl Champion, Father, Husband, and friend. He has written a few books throughout his life, and I've read most of them. In these he shares lessons from his life that have played a prevalent role in his growth as a man, coach, father, husband, and friend. One of the things Coach Dungy shared in his written work was that his son Jordan was born with a very special neurological condition - congenital insensitivity to pain. This means that Jordan cannot feel pain. While at first glance we think that sounds neat, it's actually terrifying. Coach details that his son loves cookies, and he loves them so much that he may reach into the oven to grab them... burning his hands and mouth, while feeling nothing. Tony Dungy articulates this whole experience in a far more meaningful way than I can, but he tells us that pain is, as scary as this sounds, necessary. Pain teaches us. Pain teaches us the difference between what's good and what's harmful. Pain helps us grow, heal, and learn. Pain is necessary. This Sunday will be the biggest football game that the Dallas Cowboys have played in 21 years. While we're not equating this to what Tony Dungy was, members of Cowboys Nation know that we've experienced a lot of pain as fans in those two decades. We get so wrapped up in confidence and hype that sometimes we lose sight of the fact that we are, just like everyone else, afraid. We're scared. We want to win and the possibility exists that we might not, and that's terrifying. Taking a page out of Tony Dungy's book - figuratively, not literally - we should keep perspective that pain is something to fear, but something to learn from. 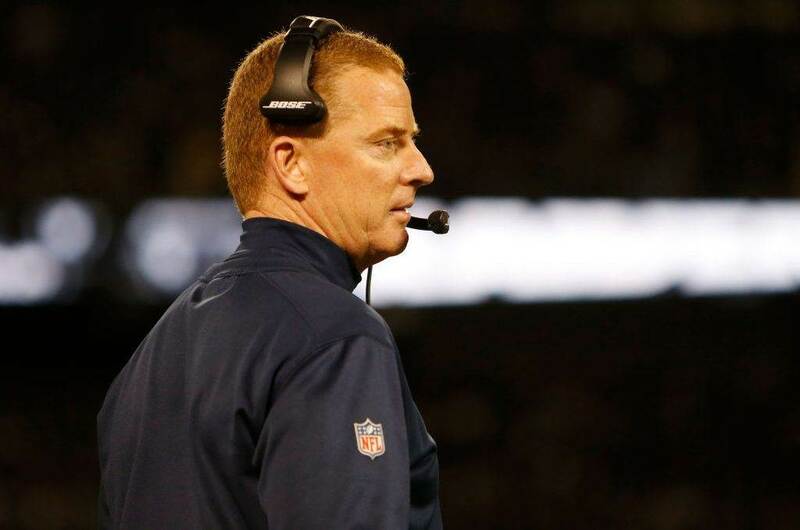 The Cowboys have learned from a lot of pain over the last 21 years, and you know what? If there's more pain, we'll deal with that. It's the accepting that pain is a possible result that really prepares us, not pretending that it doesn't exist. That's what being bold is all about in life, and these are my 5 Bold Predictions for Cowboys/Packers. Let's roll. By now we've heard all about the red-hot Green Bay Packers offense and their quarterback, Aaron Rodgers. While I don't particularly believe the Aaron Rodgers is the greatest quarterback to ever live - a notion many national mediums disagree with - I do acknowledge that he is a premier player at the position. It's no secret that the best way to stop Aaron Rodgers is to keep him off of the field entirely. 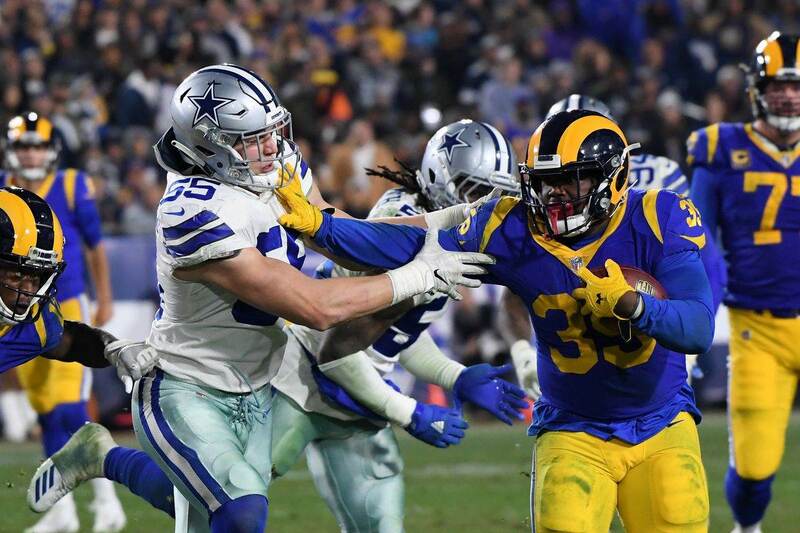 The Cowboys know full-well about how great he can be in the Playoffs, and they are best served if they can eliminate the time he has to work against their defense. When the Cowboys lost at Lambeau Field in the Divisional Round two years ago, they held the ball for 30:39. When they beat Green Bay in their house this past October, they held the ball for 29:50. It's looking at that that makes 35 whole minutes seem like a lot of time, but that's why we don't call them reasonable predictions. In the theme of dominating-time-of-possession we obviously understand that Ezekiel Elliott is a big component of that equation. A bigger one - though he is physically smaller - is Cowboys wide receiver Cole Beasley. When the Cowboys beat the Packers earlier this season Cole Beasley led Dallas in receptions (6 for 58 yards and 2 touchdowns). 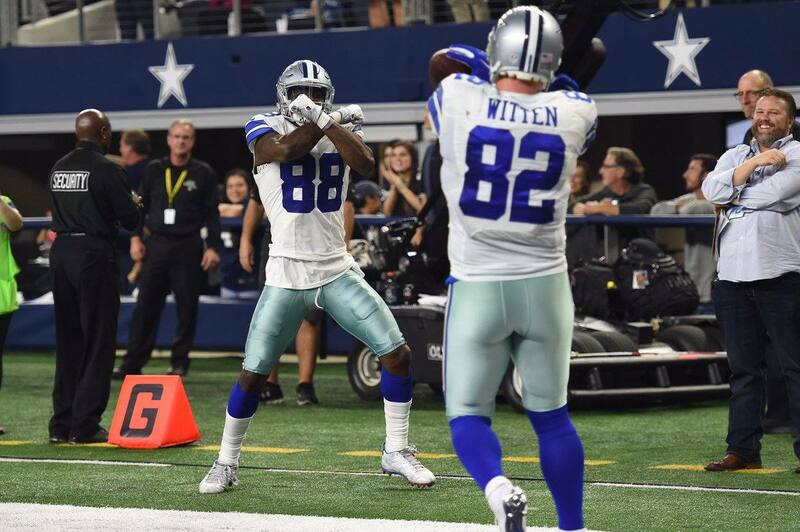 Remember that Dez Bryant did not play in this game for the Cowboys. On the other side both Randall Cobb and Ty Montgomery had more receptions than the Saucemaster, and that was with Jordy Nelson playing in the game. This Sunday's game won't have Jordy and will have Dez Bryant, which would suggest that if anything Cole's targets would decrease especially relative to the field. The Green Bay Packers aren't fools. They know and are preparing for Ezekiel Elliott. While they won't be able to stop him fully, Dak Prescott will have to look to alternative options in order to continually move the chains throughout the game. Look for the Sauce, Dak. ATTENTION: Quarterbacks have successfully completed a "Hail Mary" before. Aaron Rodgers did not invent this. He has had three that were amazing and deserve a lot of credit, but let's slow our rolls (rolls sound so good, by the way) a bit (with butter!) here. In the world of sports some freaky things happen that can't be explained... it's why we are constantly amazed by them. Dak Prescott is sort of living proof of this idea in that he has continually defied every sense of logic and broken every record that's been in his way throughout a potential MVP-winning season. We all know the recent history that Dez Bryant has with this team. We all know that Aaron Rodgers has thrown a Hail Mary or two. Sometimes, as we discussed, things happen just because they're supposed to happen and for no reason other than that. This is why Dak Prescott is going to complete a Hail Mary to Dez Bryant. Ultimate savagery. There's something about Dallas Cowboys wide receiver Terrance Williams to the point that he seriously elevates his game in the playoffs. Terrance Williams just has a proclivity to be in the right moment at the right time, and that's why we've seen him make such clutch catches at points across his career. 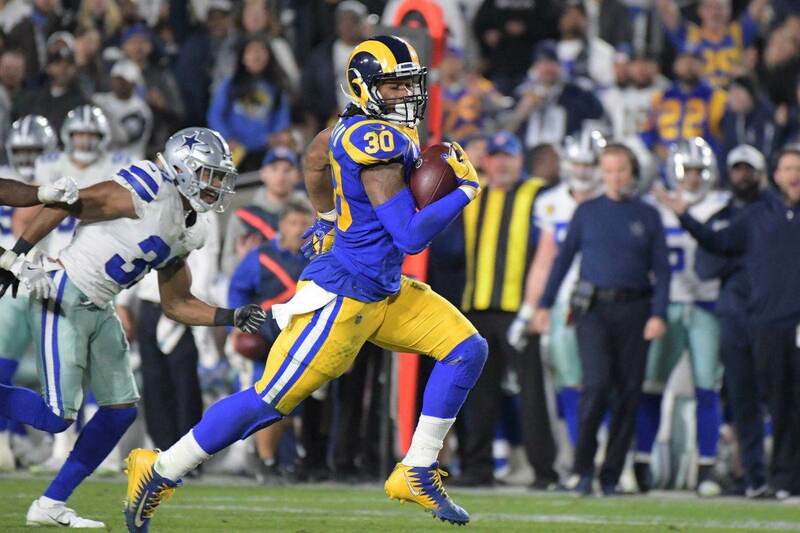 The 2014 season was really his coming out party as far as toe-tappers were concerned, but Terrance re-channeled that mantra on Thanksgiving Day earlier this season. It's time for Terrance. Get it done, TWill. We believe in you. When David Irving had a career-day in Green Bay earlier this season, we all were excited and impressed. The thing that kept us from falling fully in love with David Irving was his inability to turn in that type of performance on a consistent basis. David Irving impressed us all again in the Tampa Bay game... what is it with David Irving and Bays?! He also played well against the Lions, and this was enough to convince us that he is indeed for real. It's time for the Cowboys to unleash David Irving, and they're going to. The last time that America's Team hosted the Green Bay Packers in a Playoff game was the 1995 NFC Championship Game. That contest was played in Irving at the old Texas Stadium, so it's somewhat fitting that an Irving would be a critical factor against Green Bay once again. Tell us what you think about "Dallas Cowboys Vs Green Bay Packers: 5 Bold Predictions" in the comments below. You can also email me at RJ.Ochoa@SlantSports.com, or Tweet to me at @RJOchoa!